Fiat Chrysler Automobiles Canada will soon allow customers to pre-qualify and apply for financing online, the automaker said Tuesday. It moves FCA one step closer to allowing customers to buy new and used vehicles completely online. FCA partnered with Dealertrack, which provides online products and services to dealers, manufacturers and lenders, to develop a digital retailing solution that makes it easier for consumers to at least begin an FCA vehicle purchase digitally. Initial enhancements to dealership websites will include the ability to pre-qualify and apply for financing on both new and used vehicles. An enhanced payment estimator for an actual vehicle in inventory is also included. 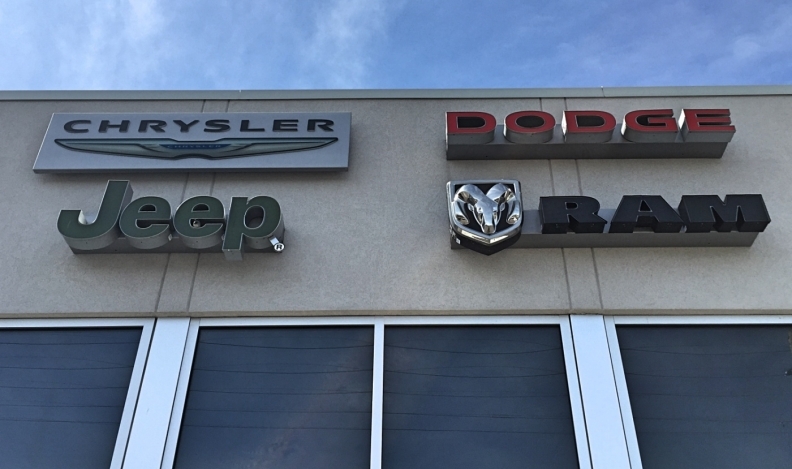 The enhancements will be offered to 90 per cent of FCA’s Canadian dealership websites. The automaker didn’t say in a statement when the enhancements would go live or whether dealerships had to pay for the additional online services. The high-tech changes will significantly reduce the time involved with the purchase of a vehicle and will initiate a formal purchase agreement, the automaker said in a statement. Customers will still need to complete the final purchase transaction at a local dealership. FCA said it is also working to eventually offer additional features, such as a trade-in estimator, as well as the ability to reserve a vehicle with a deposit and purchase service packages. “Today’s consumers have high expectations from their online experience,” Bill Levasseur, the company’s vice-president of sales and marketing said in a statement. “They are extremely well-informed and want control to purchase quickly, with security, accuracy and transparency.